Dwight Greenhill was the Chief of Staff to the Space Fleet Commander, later to the Headquarters Commander, and finally the Alliance Investigation Chief of the Free Planets Star Fleet­­. 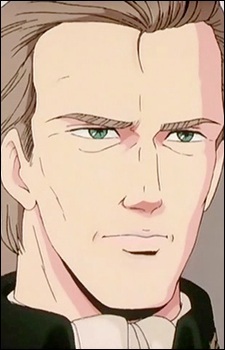 He was the father of Frederica Greenhill. An highly respected officer, he was one of the few military leaders to recognize Yang Wen-li's talent. After the failed Alliance invasion of the Empire and the losses at the Battle of Amritsar, many in the military, including Greenhill, were disgruntled by the civilian leadership. Their disenchantment united with encouragement from former POW Arthur Lynch. Greenhill was a longtime friend of Lynch, and so was partial to Lynch's opinions despite Lynch's failings at El Facil. Greenhill formed the National Salvation Military Council (NSMC) to overthrow the civilian government, and enacted martial law. Although he participated in the coup, Greenhill did have personal doubts about his cause, and one of his reasons for betraying the government was so that he could control the other members of the coup and prevent as much bloodshed as possible. Throughout the crisis, Greenhill tried to moderate the actions of his subordinates, often unsuccessfully. His coup took early success, gaining over half of the Alliance's surviving forces. However, his coup crumbled because of incompetence and Yang Wen-li's resistance. His plan to assassinate Yang Wen-li not only failed, but the assassin, Commander Bagdashu, publicly announced that the coup was a subversion by Reinhard von Lohengramm, though Yang did not have solid proof of this. This, combined with the massacre of protestors at a rally, destroyed the council's public relations. After the defeat of the 11th Fleet at the Battle of Doria most of the remaining neutral or NSMC Alliance military forces defected to Yang Wen Li's side, leaving the council stranded on Heinessen. Greenhill was ready to admit defeat when Yang Wen-li destroyed the Artemis Necklace. When given the option of using the people of Heinessen as hostages Greenhill, in horror and disgust, refused to do so, preferring to let the nation heal from the civil war as quickly as possible. Intending to take his own life, Greenhill then confronted Lynch. Lynch, having confessed that he had instigated the coup under Duke Lohengramm's orders, then killed Greenhill in a shootout between the two men. Tragically, Greenhill's coup d'état would bring about the opposite of what he sought to do. Not only did the corrupt government remain in power and the Alliance lose another of its remaining fleets, but the actions of the renegade military units completely turned public opinion against the military, destroying the last of its independence from political control. Far from reviving a weakened Alliance, Greenhill and his group only served to weaken it even further, a situation which would directly lead to its demise only a few years later.